New Chinese research has found a link between long-term exposure to air pollution from vehicle exhaust, industrial emissions, and other sources to an increased risk of children developing autism. 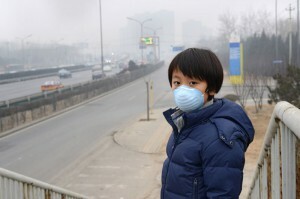 Carried out by researchers at the University of Chinese Academy of Sciences, along with the University of Birmingham, UK, and McGill University, Canada, the new study is the first to investigate the relationship between long-term exposure to air pollution and autism spectrum disorder (ASD) during early childhood in a developing country. The researchers looked at 124 children with ASD and 1,240 healthy children who acted as a control group, examining them at different stages over a period of nine years. The study focused on the health effects of three types of particulate matterPM1, PM2.5, PM10, which are all fine airborne particles found in emissions from factories, vehicular exhaust, construction activities and road dust. The smaller the airborne particles, the better they are able to penetrate the lungs and enter the bloodstream, where they can cause a range of serious health conditions. PM1 is the smallest in particle size, followed by PM2.5 and PM10. Few studies have been done on PM1 globally and there are no current safety standards for it. The findings, published in Environment International, showed that exposure to fine particles (PM2.5) from vehicle exhaust, industrial emissions and other sources of outdoor pollution from birth to age three increased the risk of developing ASD by up to 78 percent. The results are in line with previous studies which have already linked prenatal air pollution exposure to ASD in children.